After fifteen years as a professional footballer, Manchester City icon Pablo Zabaleta will announce his retirement as a player at the end of the season, according to a report from Spain. The 33-year-old is in the last year of his contract at West Ham and despite expressing interest in a swansong in the Middle East — like Pep Guardiola did before retirement — Catalan newspaper SPORT claims that after assessing his family situation, Zaba is going to hang up the boots next year. Zabaleta will establish his home in Barcelona, where he played with Espanyol and where his wife Christel Castaño, a model, is from. The two already have a property in the area. One of Manchester City’s all-time fan favourites, Zabaleta joined the Blues in 2008 from Espanyol, going on to make over 330 appearances, winning the Premier League twice in his nine seasons with the club. The Argentine right-back has been taking his coaching badges and refused to rule out coaching his beloved Manchester City some day. 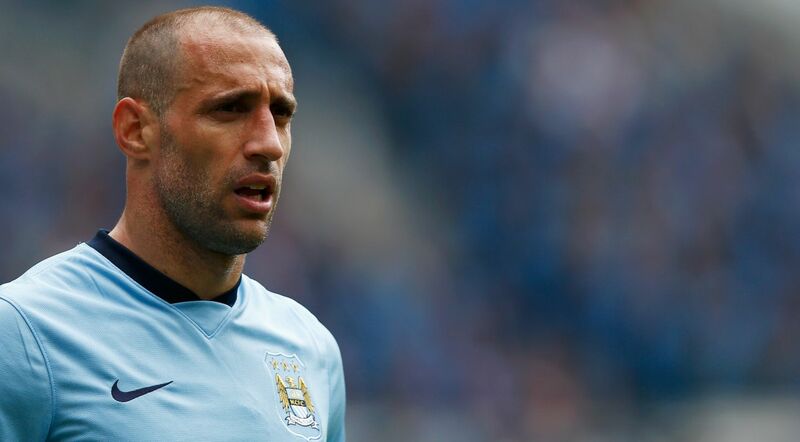 “Why not?” Zaba responded when asked by Arab News if he could become City boss. “I spent nine years at Man City, it was like a home and my last meeting with (chairman) Khaldoon Al-Mubarak, he said the door will be open for me to come back to Man City in some role, so we will see. It would be special.